Shimaoka Tatsuzo (島岡 達三, 27 October 1919 – 11 December 2007) was born near Ikebukuro in Tokyo. 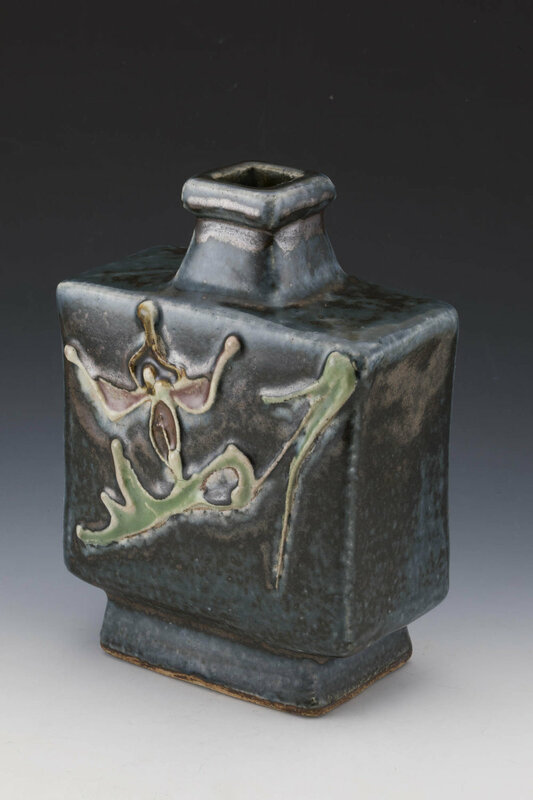 At age 19 he decided he wanted to become a Mingei potter after visiting the Japanese Folk Crafts Museum, which he found deeply inspiring. At that time Shimaoka was attending the Tokyo Institute of Technology, and after an accelerated wartime graduation in 1942 he served as an officer in the Japanese army in Burma and spent some time as a prisoner of war. In 1946 Shimaoka began a formal apprenticeship with Hamada Shoji in Mashiko, which ended in 1949. 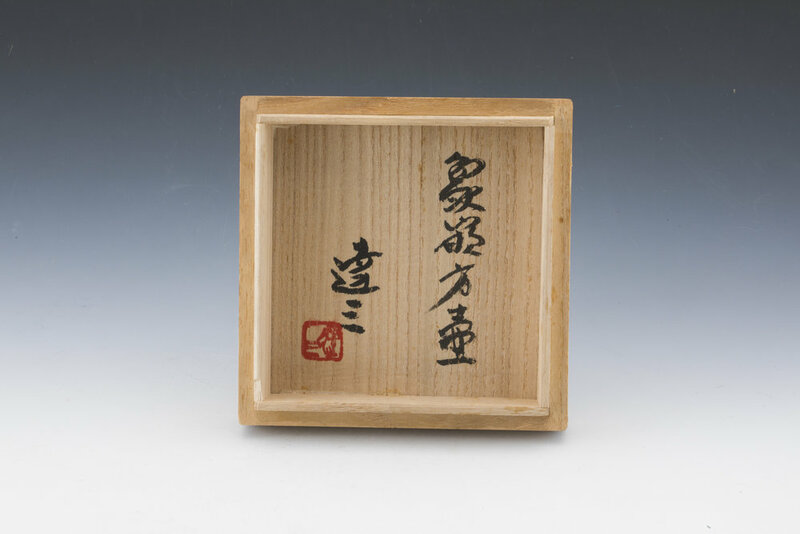 After working for three years at the Tochigi Prefecture Ceramic Research Center, in 1953 Shimaoka set up his own pottery next door to his former teacher. The following year he held his first exhibit in Tokyo. 1963 saw the first of his yearly exhibits in Tokyo's Matsuya Ginza department store. He would later go on to have yearly exhibits at Hankyu department store in Osaka as well. Shimaoka's first American exhibit was held in Boston in 1974, his first European exhibit was at the Museum für Kunst und Gewerbe Hamburg (Museum of Arts and Crafts) in 1977. Over the years Shimaoka frequently lectured and taught in the United States and Canada. His works can be found in many museums around the world, including The Victoria and Albert Museum, The Metropolitan Museum of Art, and the Israel Museum. After Hamada Shoji, in 1996 Shimaoka became the second Living National Treasure of Mashiko, Japan. Shimaoka was best known for his unique Jomon zogan style of pottery, and was a master of many slip decorating and firing techniques for pottery. This Jomon zogan pottery was inspired by two ancient techniques: Jomon rope impression and the Korean Yi Dynasty process of adding white slip to decorative indentations. Jomon involves using silk and other dense ropes (often obihimo, or cord to wrap the obi for Japanese kimono) to make impressions in leather-hard clay, while zogan is a process whereby slip is applied and inlaid in multiple layers into the impressed pattern. The slipped pattern is then carved back to the clay, highlighting it and leaving patterns exposed.